Welcome to Upland Village Green. We have an optimized screen reader version of this site available. 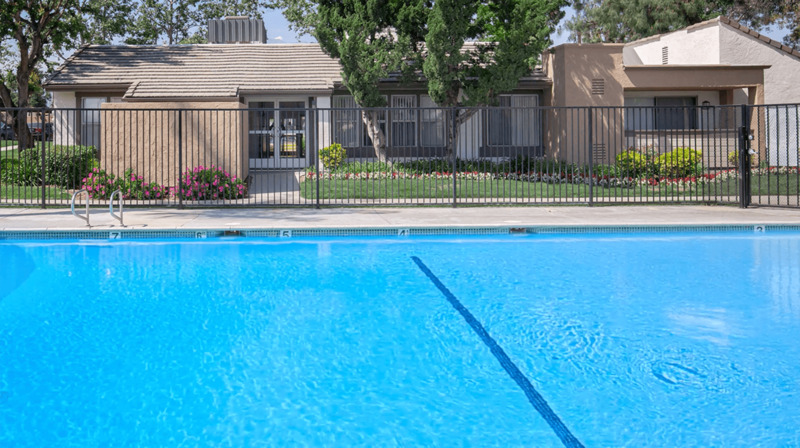 Welcome home to Upland Village Green, the finest apartment home living in Upland, California. Nestled in the foothills of the San Gabriel mountains, Mount Baldy creates a spectacular backdrop in the California sky. Unique shopping and dining offerings are available at the Colonies. Relax while you tour the Ontario Museum of Art or spend a weekend in the mountains hiking and fishing. Our advantageous location allows for a variety of adventures to please anyone. The apartment homes at Upland Village Green combine convenience with style. Our spacious one and two bedroom floor plans offer only the best. Create a wonderful meal in your contemporary kitchen with Whirlpool appliances and butcher block countertops. Enjoy pleasant evenings on your patio or balcony. Vertical blinds, ceiling fans, carpeted floors, and extra storage only add to the attraction of our apartments for rent. Community life at Upland Village Green has it’s own benefits as well. Wander our beautifully landscaped grounds on your way to the well-equipped fitness center. Make your way to our sparkling swimming pool to cool off or just soak up some sun. Laundry will be a breeze when using the new washers and dryers in the on-site laundry facility. We are a pet-friendly apartment community. Please call us for details regarding our pet policy. Schedule a tour today and see why Upland Green Village is the place that you want to call home.